This government no di hear 12. Two Higher Teachers Training Colleges existed; Bamenda for Southern Cameroons. Yaounde for French Cameroon. Surprisingly Yaounde became Higher and Bamenda Annex. Today out of 100 student teachers admitted in Bamenda 80 are from French Cameroon. Tell me who are they going to teach? 2. The School of Posts and Telecommunications in Buea for English Cameroon and Yaounde for French, suddenly Buea became annex and Yaounde higher. Today 162 students are present in Buea all of them Francophones The language of study is French all lecturers are Francophones. 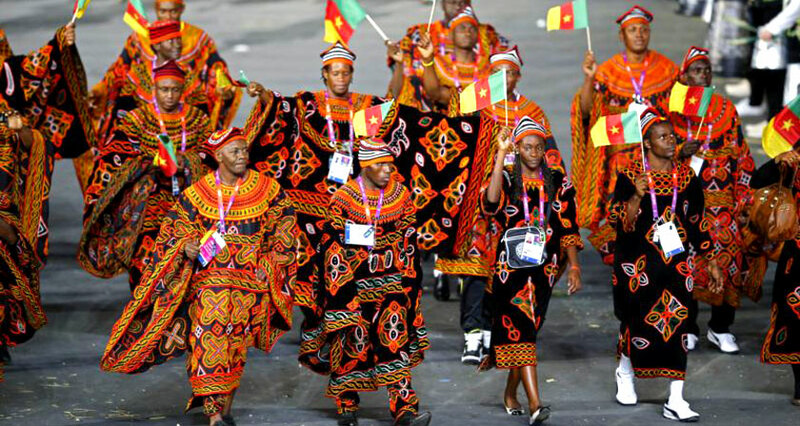 Cameroons at the Olympics Represented with BSC | AMB Colors. And a school of sports in BSC | AMB has a 2 to 132 ratio of students? Really Crazy. Public works school Buea same thing. In a population of close to 200 only 27 from North west and South West. Men of honour whether we like it or not whether we stand for Ambazonia or not the Balkanisation process of this entity is on its way. Rather than trying to refuse the bitter realities we should seek a peaceful method to achieve this. By refusing to accept the realities we plant the seed for a violent revolution. And in a violent revolution there is only one winner – the White Race. In Canada a Bamileke guy pulled Quebec and gave her the autonomy she has today. It was peaceful and made headlines world over. We can do it here. Refusing bitter truths that are visible and tangible only provokes violence. In UB lecturers are teaching in French. In the School of Translators and Interpreters only 7 anglophones are there. In Police Academy out of 400 present including administrators only 22 are anglophones. I supervised the distribution of metizan and yellow fever there. I had the official list of all present. In the Regional Delegate for Health outside the Delegate and the NTCP coordinator any other person sitting in a Program with huge budget is Francophone . All District Medical Officers outside Limbe is Francophone. All district medical Administrators from ENAM in SW are francophones. Where are we? Ah we did not go to school. My heart bleeds I am shivering. How did we get here, how did we allow ourselves to be cowardly treated to this extent. The answer is simple. The Atanga Nji’s stood by knowing, seeing yet refusing it. There is no fear anymore. You either live and die with a great legacy than going to your grave with regrets. I am Atabong. Atabong Felix. You are free to forward as received. The time of fear is over. God Bless Southern Cameroon’s.And you all.